Pack of 24 Liss brand cream chargers. 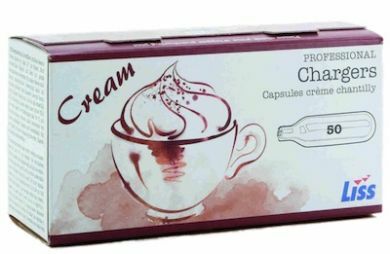 Liss cream chargers are ideal for use with all of our cream whippers. They are also suitable for use with virtually any cream whipper available in the UK - the only exception being Kisag whippers which use a completely different cartridge system.